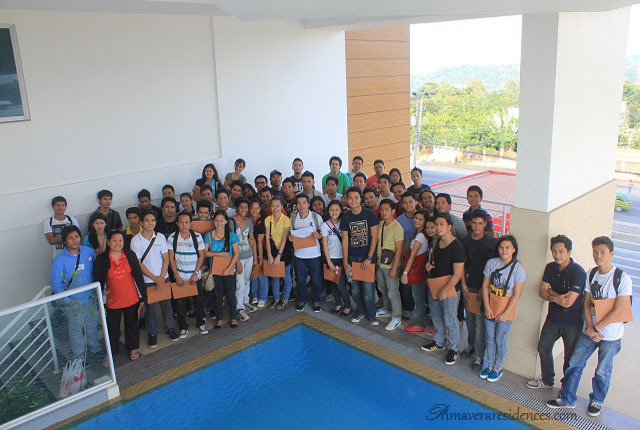 Around 120 civil engineering students from the Unified Students of the Philippine Institute of Civil Engineers – CDO Chapter paid a visit to Primavera Residences, the only eco-friendly condominium in Mindanao, to learn all about sustainable technology. The students, who came from Capitol University, Mindanao University of Science and Technology, Xavier University and Cagayan de Oro College, gathered together at the Multipurpose Hall to listen to ITALPINAS Euroasian Design and Eco-Development Corporation (ITPI)’s Sales and Marketing Director, Ms. Gladys M. Echano, as she spoke about who ITPI was, its design philosophies and strategies and its projects. 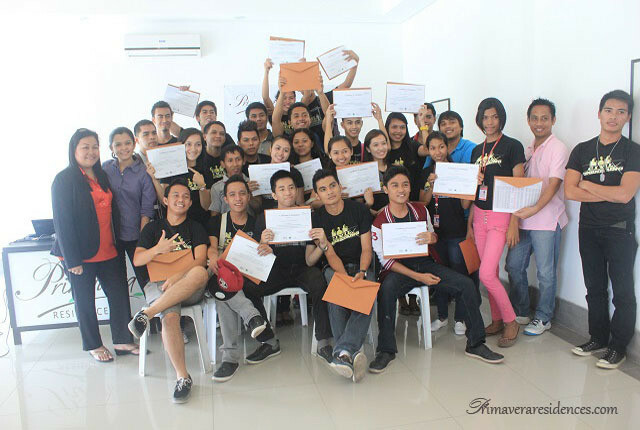 The future civil engineers hold up their certificates and pose with ITPI’s sales and marketing director, Ms. Gladys M. Echano (second from left, in purple), after the end of the seminar. The young civil engineers enjoyed the interesting session, which will be very helpful to them when they work on their own projects in the future. The event ended with a t-shirt design contest on sustainable living. This event was organized by Primavera Residences in cooperation with RPM Realty.